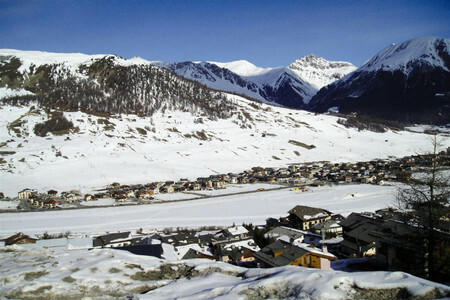 Beautiful getaway in the fun packed Livigno Ski resort! 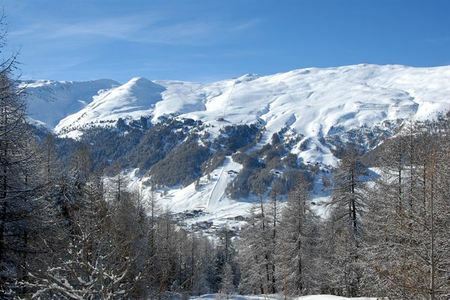 Situated in the fabulous ski resort of Livigno and boasting close proximity to the resort facilities and amenities, this pretty 36sqm holiday homes provides the perfect getaway for couples. The interior is warm and welcoming with bright yellow and terracotta hues throughout and enhanced by modern day touches such as flat screen TV and convenient WIFI access. An open plan living and dining room provides a relaxed and informal focus to the property with a fireplace, dining area to accommodate up to 4 guests and a fully quipped kitchenette. Guests will be able to cook delicious meals during their stay with a cooker hob, microwave, coffee machine and dishwasher appliances all provided for maximum comfort. The resort is also the perfect place to dine out with a choice of over 60 restaurants so guests can fully enjoy the flexibility of a self-catering stay! The beautiful accommodation also features a spacious master bedroom with warm solid pine furnishings including a comfortable double bed and a wall mounted flat screen TV for guest’s entertainment. A spacious modern bathroom is situated in the property and onsite laundry facilities are available. 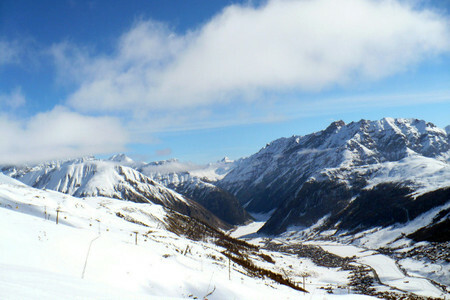 The charming ski chalet residence also allows 1 afternoon free shared access to a luxury sauna and spa, which provides the perfect place to relax after a days skiing on the slopes or from hiking and cycling in the nearby Swiss National Park. 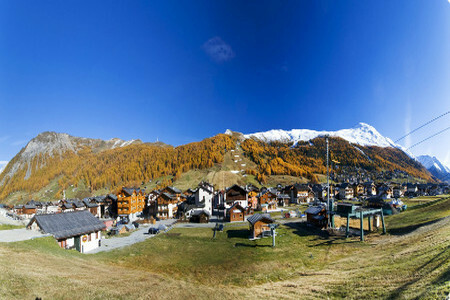 A private parking space is ideal for guests use and Livigno’s amenities are all close to hand with restaurants, bar and cafes. The resort also features outlet designer shopping and a luxury fitness centre with swimming pool and luxury Spa with treatments and massage. 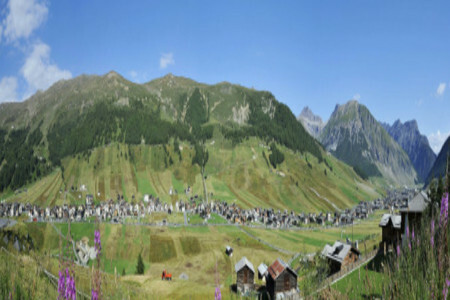 The surrounding scenery is absolutely spectacular and guests can fully enjoy the crisp mountain air by cycling and hiking in the nearby Swiss national park. 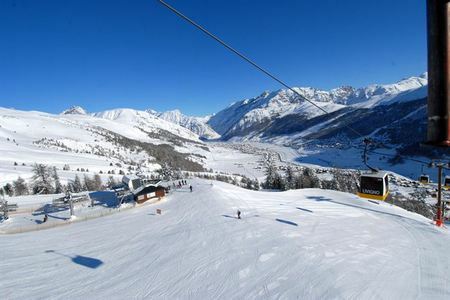 Other activities in Livigno include skiing down of the many runs, snow-boarding in one of Europe’s well renowned Snow parks or dog sledding, quad biking, ice climbing, horse riding and snow go-karting; the choice is yours in Livigno! 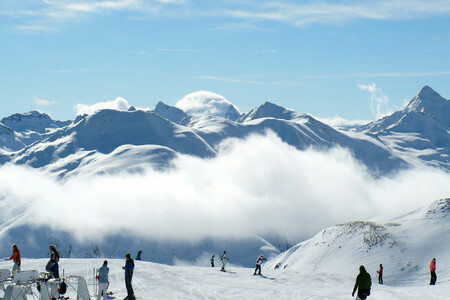 Guests can also enjoy the surrounding attractions which include the Swiss Ski resort of St Moritz. The additional service charge is 160. 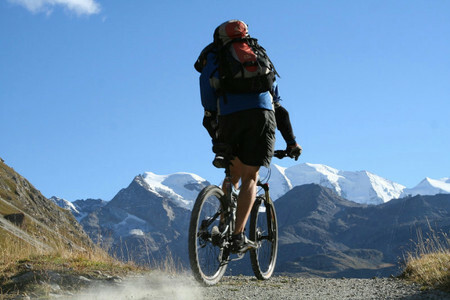 Apologies for the late response – the New Year started of sprinting and have just been trying to catch up. Our experience with Happy Holiday Homes was nothing short of delightful. Prior to arrival, it was so simple to pay, so quick to get a response to any questions, and friendly. Upon arrival, we met Marco and Daphne (forgive me if I’ve got the wrong name, but I’m sure it is correct) at Goloseria Galli, who were very welcoming especially after a long bus ride. 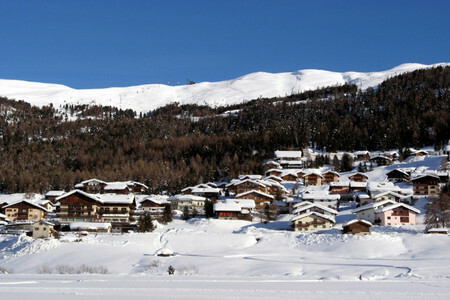 Everything we required regarding our accommodation, ski hire info, ski passes, town map etc. was provided neatly and explained very well. 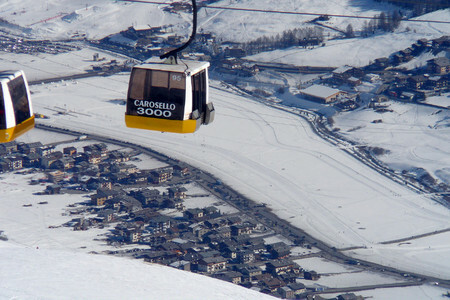 They were also very kind to assist us with a lift from the meeting point to our Apartment, with a short description of things to do on the way. Our Apartment was neat and tidy, and was exactly what we had hoped for. The owner was friendly. 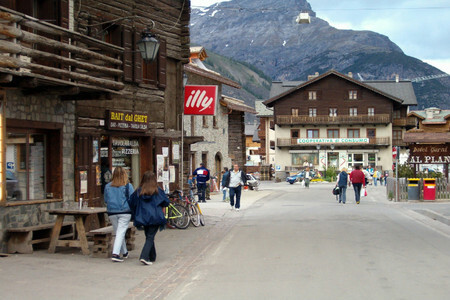 Our favourite restaurant is a difficult question to answer – because honestly there were so many nice places to eat. To name a few: -	Marco’s Pub -	Il Cenacolo -	Dosde -	Why Not? 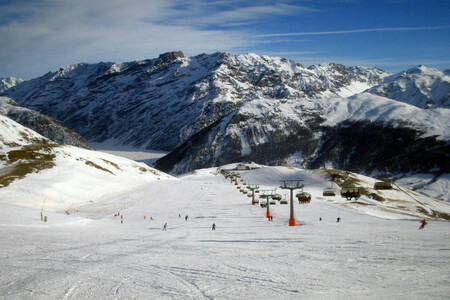 -	Bivio The bus system works like magic, which made it so easy to find our apartment. 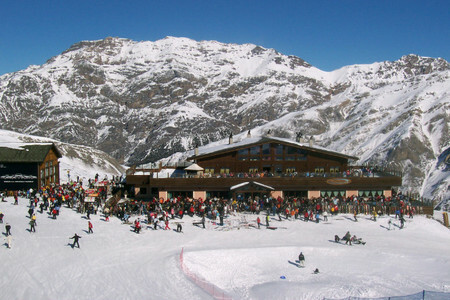 I think your services are great – we are definitely looking forward to dealing with you in the near future, as we seriously loved our trip to Livigno in December 2018. Thank you for everything. " James Clayton "